Georgia’s Civil Society Organizations address the Vice President of the United States of America with an open letter ahead of his visit to the country. The CSOs highlight Georgia’s achievements and remaining challenges in terms of democracy and security. 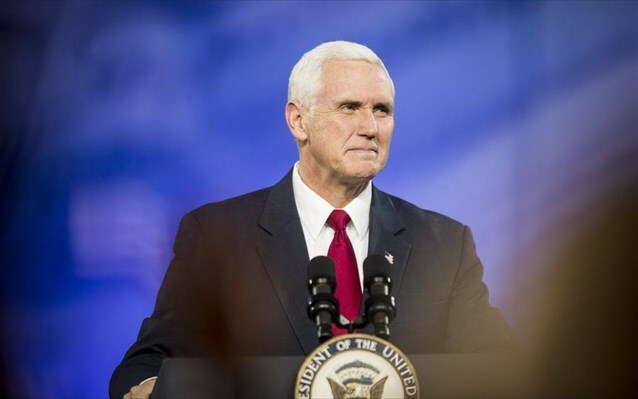 The authors underscore importance of the strong U.S. support to Georgia and ask the Vice President Pence to continue support in the areas of democratic institution building, security, countering Russian occupation, and on Georgia’s NATO membership path. Let us start by expressing our gratitude for America’s continuous support of Georgia. U.S. support for Georgia’s independence, territorial integrity, security and its democratic and economic development, as well as U.S. support for Georgia’s NATO membership played fundamental role in the process of building modern Georgian state. During the last 25 years this support has been transformed to the truly strategic partnership with complex agenda encompassing defense and security, economy and trade, democratic institution building and people to people relations. These efforts allowed us to become committed ally to the Free World and strong contributor to the security and stability in the region, as well as to promote values of freedom and democracy. We firmly believe that the United States of America is the closest and trusted partner of Georgia, supporter of our sovereignty and statehood, based on the shared values of freedom, democracy, rule of law and human rights. We would like to particularly mention that the U.S. Embassy in Georgia and USAID remain very effective partners of the Georgian people and its vibrant civil society. Georgia’s strive to freedom has become target for Russian aggressive revisionism. In fight with freedom through hybrid means and anti-western propaganda Russia is constantly trying to undermine Georgian statehood by continued occupation and creeping annexation of Georgian territories, illegal military presence and other coercive measures. In more than a decade, Georgia has achieved a significant progress in the process of consolidating democracy, modernizing the country and implementing significant reforms. This progress has played decisive role in enabling Georgia to develop resilience to withstand Russian pressure. Herewith, we would like to point out several important issues which are a cause of concern for the Georgian civil society, and threaten to undermine the democratic achievements of recent years. These particular shortfalls of Georgian democracy are affecting our development as well as security. The most important pending problem we would like to point out is the single-handed reform of the Constitution by the ruling party, which failed to seek and achieve broad public and political consensus over the draft of the document. Among other controversial issues, such as abolishing the direct elections of the president, the reform failed to achieve immediate change of the electoral system against the expectations of the political spectrum, civil society and the Venice Commission. Instead Georgian Dream (GD) has vehemently pushed for introducing mechanisms that would unjustly favor the incumbent political party, which is an alarming sign of further concentration of power by the ruling political force. We fear that such process could undermine legitimacy of the Constitution, lead to further polarization of the political spectrum and broader public as well as potentially paralyze political process. We believe, that the ruling party should immediately take measures to seek broader consensus on the constitutional draft and thus, demonstrate readiness to pave way for meaningful changes that strengthen political plurality. Among other problematic issues, we would like to particularly mention our concerns over the independence of the judiciary. Despite three waves of reforms and certain positive tendencies in the judiciary after 2012, Georgian Dream government largely failed to address systemic problems in the judicial system. As a result, it remains prone to undue influences coming from the government as well as vested corporate interests within the judiciary. The problem of lack of judicial independence particularly manifests itself in politically sensitive cases, e.g., Rustavi 2 case and other high profile cases. According to the most recent opinion poll commissioned by the EU and UNDP, the trust of the Georgian population towards the court has decreased or not improved since 2012. Impunity and lack of accountability of Law-enforcement and Security Services, is another important issue to be mentioned. There exists no effective parliamentary and civilian oversight or judicial control over the activities of the law enforcement bodies and security services. Instances of human rights abuses (allegations of excessive use of force, inhuman treatment, planting of drugs, etc.) usually are not followed by effective and objective investigations. The latest and most serious illustrations of these problems have included the case of abduction of an Azeri civic activist and journalist Afgan Muxtarli and the assault on the Auditor General of Georgia by a former Chief Prosecutor. Worsening Media environment and attempts to reduce pluralism, is yet another tendency we would like to bring to your attention. Recent developments on Georgia’s media landscape pose a threat to media pluralism in Georgia. Three broadcasting companies are owned by the individuals closely affiliated with the ruling party. Georgian Public Broadcaster, which enjoys significant public funding, has a new management politically affiliated with GD. The only nationwide broadcaster providing alternative critical views - Rustavi 2 is struggling for survival in a legal battle for its ownership. Mr. Vice-President, in this letter, we have highlighted only a few, most acute problems posing a threat to the democratic development of our country. This is obviously an incomplete list of the systemic problems generated by the ill-practiced informal governance in the country and influence of unauthorized individuals over state institutions. The tendency to consolidate power by the ruling elite is the reason for our particular concern as it erodes fragile but functioning institutions and, if not reversed, may completely paralyze the political process. This further threatens stability and creates obstacles for democratic transfer of power in Georgia. We believe that success of the Georgian democracy is in vital interest of the US and the West. Your forthcoming visit is yet another clear manifestation of this. Therefore, in these times of continued security challenges to our common values of freedom and democracy, we count on increased U.S. political engagement and long term policy towards Georgia. We highly appreciate and are truly grateful as we see U.S. firm commitments to freedom and democracy and vigorous support of the principles of sovereignty and territorial integrity of other nations is being reinforced and reaffirmed currently. 1. The role of the United States has been critical in the democratic transformation of Georgia. Without the U.S. support, Georgian public institutions, civil society and media would not be able to lay foundation to the principle of rule of law. Continued support of our democratic aspirations is highly important in these critical times, when Georgia is facing growing domestic and foreign challenges. Georgians value all past and present efforts of the US administration in areas of good governance and deeply rely on this assistance, as a catalyst for more ambitious democratic reforms. 2. U.S. bilateral security assistance to Georgia in last two decades enabled our country to build effective Armed Forces that alongside with their core function of territorial defense are successfully participating in international missions shoulder to shoulder with the U.S. and other Allies. Strengthening bilateral security cooperation between our countries to bridge the gaps in Georgia’s defense capabilities will strengthen security and stability not only in Georgia but in wider region. 3. Russian occupation of the Georgian territories is the one of the first demonstrations of Russian aggressive revisionism and the core of the conflict of the West with Russia. As a result of 2008 military aggression Russia continues occupation of South Ossetia and Abkhazia and violates EU brokered ceasefire agreement. Even worse, Moscow continues to pursue a creeping annexation policy. This annexation policy has become especially alarming since 2014, when Russia signed a set of “agreements” with occupied entities with an aim to integrate their laws, police, armed forces, social services and budgets into Russia’s own. If the process is not timely ceased, both occupied regions are likely to become parts of the Russian Federation in the years to come. To counter this threat, Georgia needs to establish a comprehensive and long-term anti-annexation/de-occupation strategy in close cooperation with the United States. Complexity of the issue requires Western coordinated efforts with the U.S. leadership. We appreciate and fully support current U.S. efforts to reinforce and reaffirm U.S. commitment to the freedom, territorial integrity and sovereignty of Georgia via keeping issues of occupation an integral part of U.S.-Russia political agenda. 4. Georgia has been on NATO membership path for last 16 years. Country’s membership to NATO has high public support in Georgia. Decision that Georgia will become member of the Alliance has been made in 2008 by the heads of states and governments of NATO countries. It has also been acknowledged that Georgia has conducted itself like an ally, which has demonstrated its resilience, responsibility and importantly, reliability. We strongly believe that Georgia’s NATO membership serves interests of peace and stability of the entire region and will be beneficial for the Alliance. We always count on U.S. continuous support of Georgia’s NATO aspirations and hope for facilitation of the process of granting Georgia of membership action plan that eventually will lead us to membership. Mr. Vice President, we sincerely believe that continuous U.S. support to Georgia’s freedom, independence, effective governance and its NATO membership aspirations is vital, is in interests of both nations as well as is essential for building Europe whole, free and at peace.